Hi, I’m Margaret Battensby, one of the Lead Business Analysts for the Digital Delivery Centres. I’m not used to talking about my career journey but as I’ve just been named Business Analyst of the Year in the UK IT Awards 2018, and we have nine Business Analyst positions to fill, this feels like a good time to pen my first ever blog post. I was in the Civil Service for 17 years before I became a Business Analyst. Three years later in July 2015 I joined HMRC digital - and I loved it! Being part of a scrum team, I found everyone positive and enthusiastic, with a passion to deliver quality services. I developed the same passion for being a Business Analyst in a scrum environment and began looking at how to develop my professional skills further. I successfully applied to become HMRC’s first Lead Business Analyst (BA) in digital, which I saw as a real opportunity to shape the role. I enjoyed re-energising the BA community by encouraging inclusion and always being visible, approachable and supportive. Since taking up the lead role I have been fortunate to have many opportunities to promote HMRC digital and the role of the Business Analyst. I’ve developed how we manage recruitment drives, ensuring all new starters get the right coaching and mentoring to prepare them for their new roles. I’ve created training material for new starters, and I developed a skills assessment process to analyse existing skill gaps, enabling me to target training and shadowing opportunities for everyone. Each new starter is assigned a buddy working in a similar business area, in addition to the overall mentoring I provide. I’ve also had the chance to shape the BA role in wider government. Representing HMRC Business Analysts in the Cross Government Digital Data and Technology (DDaT) team I’ve been able to enhance digital capability, motivate employees, promote clear career paths, champion talent and share best practice. I was also on a focus group created to design the DDaT skills framework, which is now being adopted across government departments. I also share my knowledge with cross-government Business Analysts, who are embarking on their agile journey, by delivering training sessions and presentations to GDS Academy attendees. So what does all this mean to one of our BAs? It means from your first day you are fully supported and have a clear career path where you are encouraged to develop, increase your skills and flourish. You’ll get to work in a dynamic team on exciting projects that make a difference to millions of people. And you’re part of a community of BAs - not only in HMRC but also across government. It took me a long time to find my “niche” in my working life, don’t let it take you as long! Anything is achievable with a little passion, teamwork and support from others, all of which can be found here in HMRC digital. 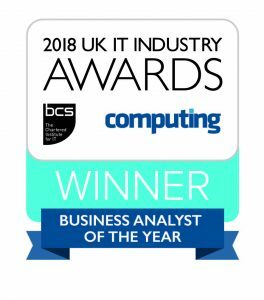 All the opportunties above and the support of my colleagues and senior leadership team at HMRC has led me to being nominated for Business Analyst of the the Year as part of the BCS (British Computer Society) awards held in London last week. 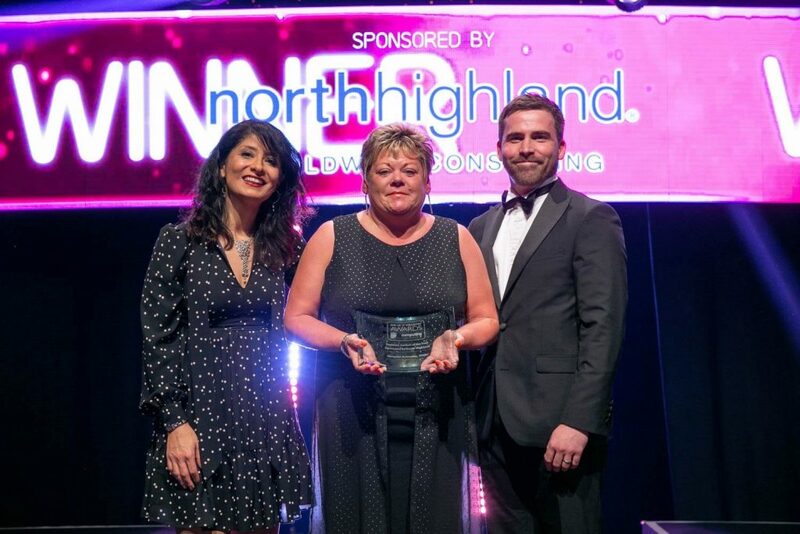 I was proud to represent HMRC and to my amazement I won! Take a look at our current vacancies including the Business Analyst roles. Excellent post by a real person who has made a difference and is obviously driving IT forward. Demonstrating passion and commitment, whilst enjoying both the journey and the role.